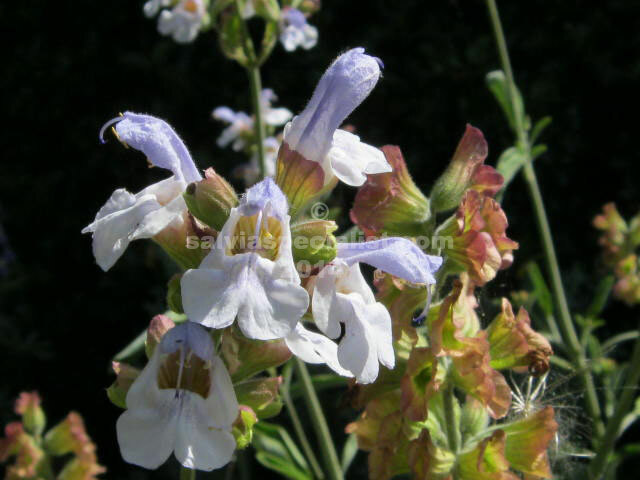 It is unusual to see the grey leaved salvia pomifera let alone have the opportunity to buy it. Watering is the problem. Don’t do it! Craig Irving grows it well at ‘Sunnymeade’ in his dry garden. Pomifera is from Crete and thereabouts where wasps lay eggs in them. The plant secretes juices around them which end up in galls. I don’t keep it alive in my garden so do not have it for sale.